Happy Holidays from GMLD! 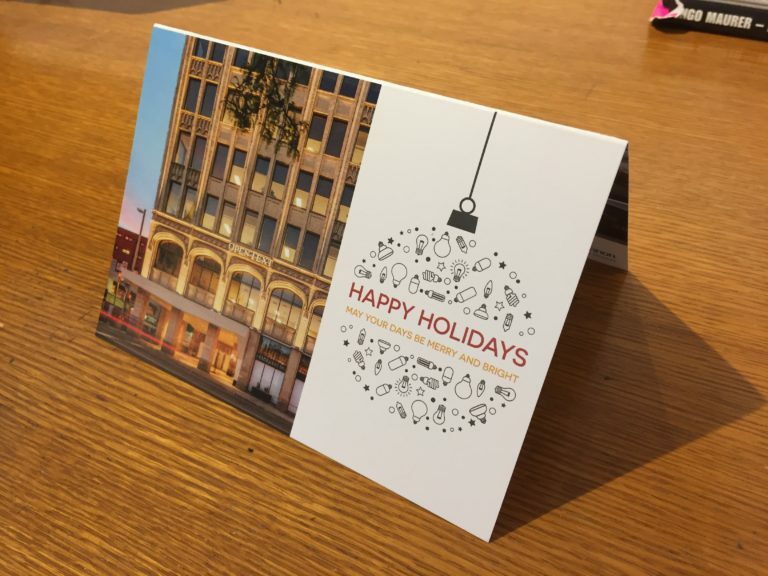 We at Gabriel Mackinnon Lighting Design would like to thank all of our clients, friends, family, and the whole lighting community for all your support in an incredible year. Our office will be closed from December 23 and we will return rested and ready for 2018 on January 2nd! We wish you and yours the happiest of holidays and we hope to work with you in the new year! If you would like to be added to next year’s Christmas Card list – get in touch! And be sure not to be naughty. 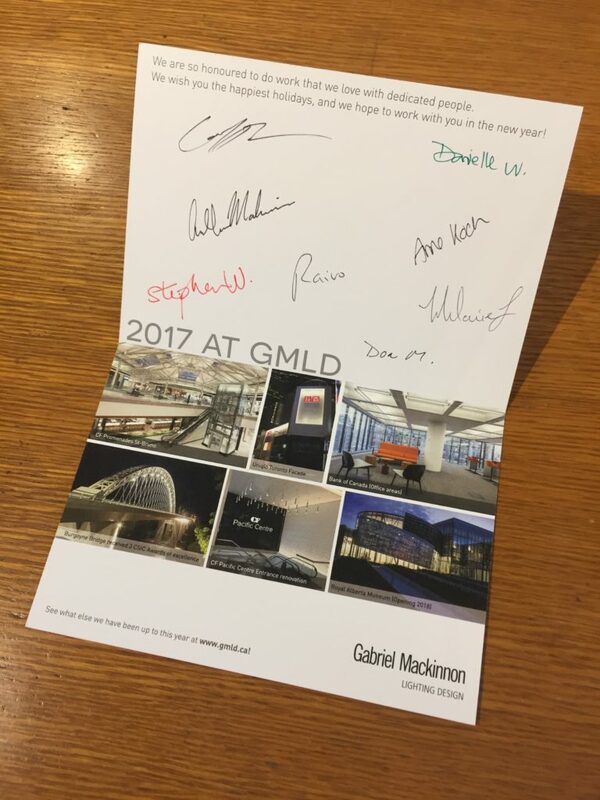 And yes – we signed the cards by hand this year! A big shoutout to Anis and his team at Loudmouth Printhouse for turning this job around in one business day like a champ. Enjoy your holidays everyone, and best wishes from our team to yours.